Sounds simple, and that&apos;s the point. A pool trip is the perfect way to keep the kids occupied on a long, summer afternoon. They can cool down while you read that steamy romance novel all your friends are buzzing about. 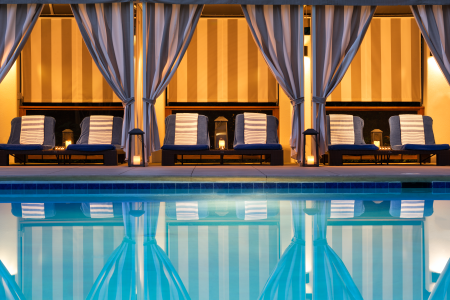 We recommend crashing and splashing at the Residence Inn Perimeter Center, Embassy Suites Atlanta, Le Meridien Atlanta Perimeter or Atlanta Marriott Perimeter Center. Maybe it&apos;s too hot to cook. Or perhaps everyone&apos;s been cooped up inside all day and you need to get away from the pile of laundry and the stacked dishes and the yapping dog - oh, you don&apos;t have a dog? Must be those raccoons getting rowdy in the abandoned lemonade stand outside. 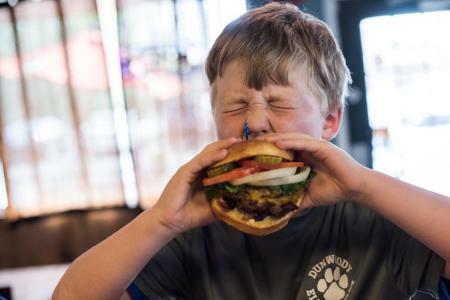 All kidding aside, your kids will love eating out at these family-friendly Dunwoody restaurants (and so will you!). Village Burger: This is one of our all-time favorite spots in Dunwoody for its local charm, laid-back atmosphere and unrivaled cheeseburgers. Zinburger: Mouth-watering burgers, off-the-wall milkshakes, and a fun atmosphere to match. Mom can have wine. Dad can have beer. Everyone can have a good time. Farm Burger: We know we said Village Burger&apos;s burgers can&apos;t be beat, but these grass-fed burgers give them a run for their money. Plus, you can treat the fam to Morelli&apos;s Ice Cream next door for dessert. Novo Cucina: Handmade pasta, authentic Italian pizzas and cream, handmade gelato. Do we really need to say more? Your Pie: The best brick-oven pizza in Dunwoody, hands down. Vintage Pizzeria: This family-owned establishment makes fresh dough in-house daily, and they even have a designated dining area for families. Shake Shack: The once roadside burger stand in Madison Square Park, New York City now has a home in Dunwoody. Order their famous burger with one of their famous shakes so you can say you did it. Treetop Quest and Brook Run Park: Take your kids on a high-flying adventure through ziplines and ropes courses set up safely and securely in the trees at Treetop Quest. Then there&apos;s the surrounding Brook Run Park, with playgrounds, skate parks and walking trails. 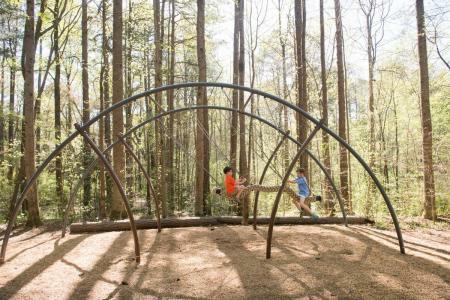 Dunwoody Nature Center: The Dunwoody Nature Center&apos;s woodland playground is a joy to children and adults alike. Walk along hiking trails to find each interactive instillation, along with hammocks, tree swings and a real teepee. The center offers classes for all ages and fun events, too. 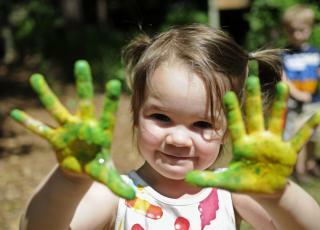 Arts Centers: Bring out your kids&apos; creative energy and sign them up for a fun painting class at Painting With A Twist. The MJCCA and Spruill Center for the Arts also offers arts classes and other fun family activities. Caffeine and Octane Car Show: The first Sunday of every month, hundreds of model cars roll into Dunwoody for this nationally recognized, free event. Picture Hot Wheels cars, but twenty times bigger and millions more expensive and less likely to leave skid marks on your dining room wall. Food Truck Thursdays: This wonderful weekly event pretty much explains itself. Come to Brook Run Park at 5 p.m. from April-October for live music and dinner on the cheap, all in Dunwoody&apos;s beautiful outdoors. BBQ Festival: September 7-8 at Perimeter Mall. All kinds of BBQ. All kinds of fun. 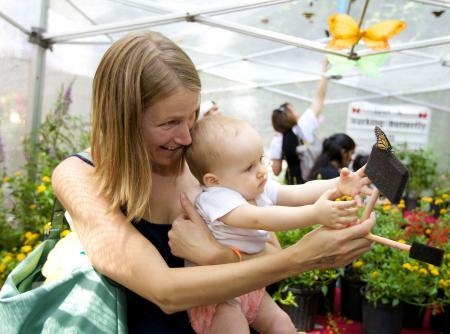 Butterfly Festival: Your child will never forget the experience of seeing hundreds of butterflies up close, and you&apos;ll never forget the look of wonder on their face. Come to the Dunwoody Nature Center&apos;s Butterfly Festival on August 11 to walk through butterfly tents and enjoy games, live animal encounters, crafts, food and more. Whether you have a family, a significant other or just a pet gerbil you inherited from your great-uncle, Dunwoody welcomes you. Our calendar is packed this summer with events for everyone, including food and drink festivals, outdoor events and live performances. So mark your calendar, then request a Visitors Guide to plan your summer trip to Dunwoody. And be sure to follow us on Facebook for local tips, deals and vacation inspiration.